As a professional compositing video editor, Adobe After Effects can also help you make some basic editing effects like slow motion or timelapse video. It is useful to fast motion and freeze frame. Read on to get the two easiest way to speed up or slow down a video in After Effects. If you are looking for an easier way to speed up video, FilmoraPro is here to help you. It is a much easier editor compared with After Effects. You just need to adjust slider to change speed. It has various effects settings to help you make amazing effects, including keyframing, color correction and so on. You can use FilmoraPro to easily make amazing effects. Here is the steps to change video speed. Download it now (FREE)! Search speed in the effects tab. Drag speed effect to video clip in the timeline, and then adjust speed slider to change speed. 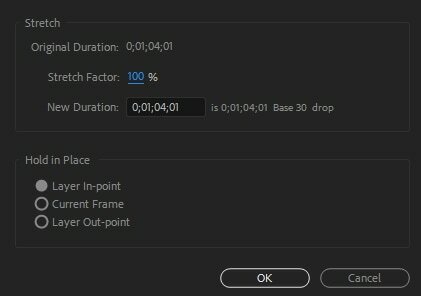 Here is a video tutorial on how to speed up video in after effects. Step 1: Launch your program and then move to new project. Step 2: Now you need to import your desired video clip to this recently opened project panel. Step 3: Make adjustments for layers as per your need. Step 4: Simply right click on layer and then go to Time, hit Time Stretch option from the list. Now enter your suitable Stretch Factor. It is possible to adjust percentage value of this stretch factor to any suitable position. Step 5: Never forget to use time wrap effect and frame blending tools to achieve smooth results for timelapse. Step 6: Once everything becomes fine then simply hit the Save button. Although, time stretch option is much easier to use but it do not allow users to add slow motion to specific portions of the clip. Thus, it is good to shift to Time Remapping option where it is possible to speed up as well as slow down any specific portion of the video clip. Step 1: Simply right click on the video clip and then hit Time option. Further you need to choose "Time Remapping". Step 2: Your project must be containing two keyframes; one at the beginning portion and another by the end of layer. 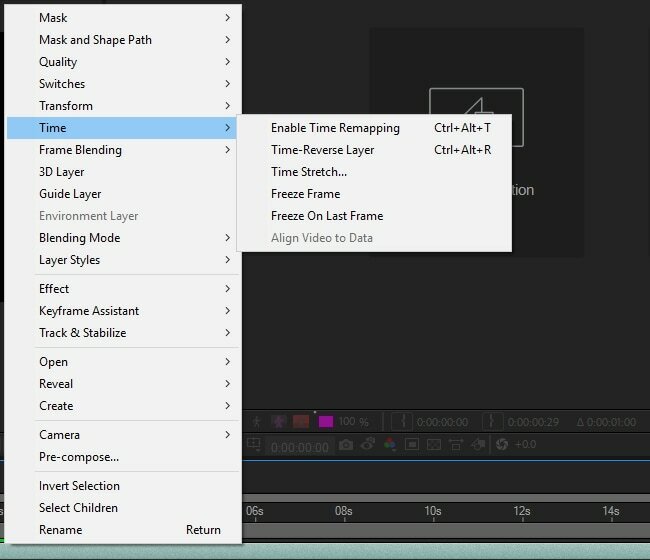 These keyframes provide details about time at particular position of your video; you simply need to edit time values on these keyframes to add effects to your video. Step 3: Let, if you wish to alter speed between two points in a clip as represented by point A and B in the image below. You simply need to drag your B keyframe to the right side and it will naturally create timelapse effect between points A and B. In case if you find After Effects platform little complicated then it is advised to shift to FilmoraPro, which is a powerful but easy-to-use tool for users to make effects easily. You can speed up or slow down your videos easily with it. Download the FilmoraPro to have a try.